In the previous post, I’ve talked about the most important things that should be checked when analysing a website, but I haven’t tackled yet one important subject: which one of all these factors is the most important and has the potential to bring the biggest impact in organic rankings? Because Google hasn’t published yet its ranking algorithm nor a list with the most important SEO ranking factors, all that can be done is to perform studies and researches in order to discover what are the most important ranking factors that Google takes into account. To make sure that the data presented here is as accurate as possible, I compared three different studies performed by industry-acknowledged players. These studies have been completed by taking into account a large number of search engine results and with the contribution of experienced SEM experts. 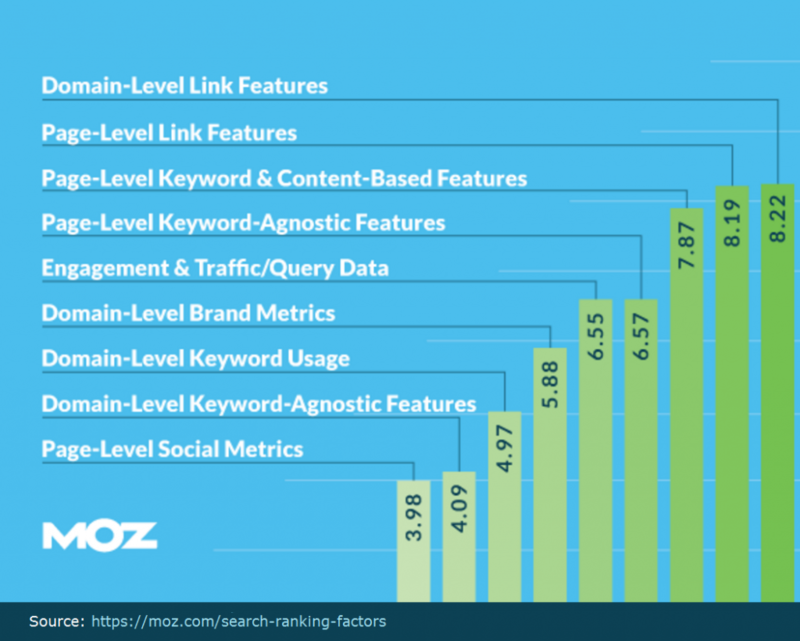 In this yearly study, Moz asked over 150 SEO experts to rate from 1 to 10 a broad list of ranking factors, with 1 being not influential and 10 being a highly influential factor for organic rankings. As the first most important two factors are about authority and backlinks, the next two on the list are about on-page metrics. Number 3 on the list, with a score of 7.87 out of 10 is called the Page-Level Keyword & Content Based Features, which is translated mostly to content’s relevance to a specific topic and number 4, the Page-Level Keyword-Agnostic Features, which talks about content length, readability, structured data markup or page loading speed. Mentions are also important according to this study, either we talk about mentions of the brand/domain name in press and media or in other offline channels. The last item in this list is represented by the Social Metrics, which refer to engagement with content or URL on Social Media, the number of Google + shares and +1s for an URL, the number of Tweets, Facebook likes, shares or comments associated with an URL, the number of Pinterest Pins for an URL. When asked about what can we expect for the future in terms of importance of the ranking factors, the most frequently mentioned factors were: mobile friendliness, analysis of a site’s perceived value, quantity/quality of instant answers provided in SERPs, Usage Data (CTR, dwell time), readability/usability/ design and the influence of structured data in SERPs. Searchmetrics.com has performed a thorough study based on desktop search results in order to identify the most important ranking factors and their evolution compared to previous years. The average text length on the top 10 web pages is around 1285 words in 2015 compared with 975 words in 2014. Social Signals play a role in direct traffic and awareness, improving the general performance of the domain. Higher ranked URLs have more social interactions (likes, tweets, +1s) than sites that have lower positions. More backlinks use the domain name as an anchor instead of a specific keyword, and fewer backlinks lead to the homepage as more links target specific landing pages. The guys from Backlinko recently analyzed 1 million results in Google search and came up with some valuable insights. 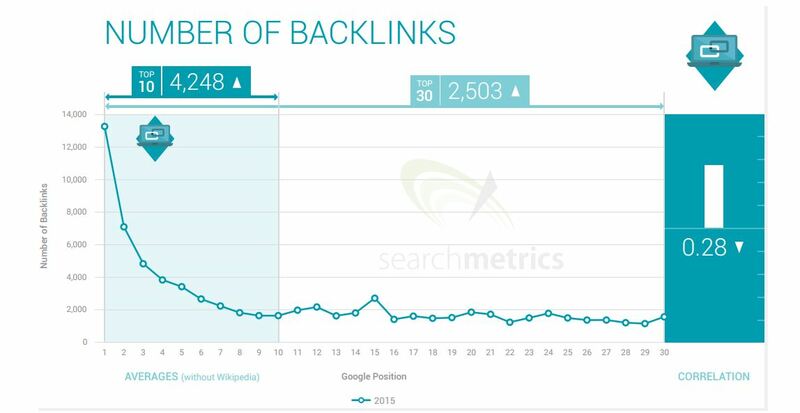 Backlinks are still a very important factor for organic rankings. 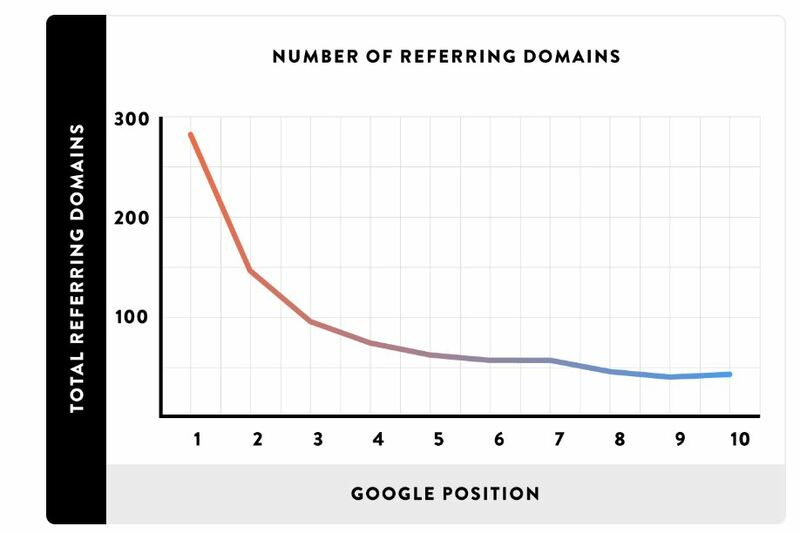 The study revealed that there is a strong correlation between the number of referring domains and the position in the results. Not only the number of backlinks/domains matter, but also the quality of those links, the link authority being correlated as well with higher rankings. An important finding of this study is that the content which is relevant to a specific topic is more important (and brings better results) than the content which is more generic. 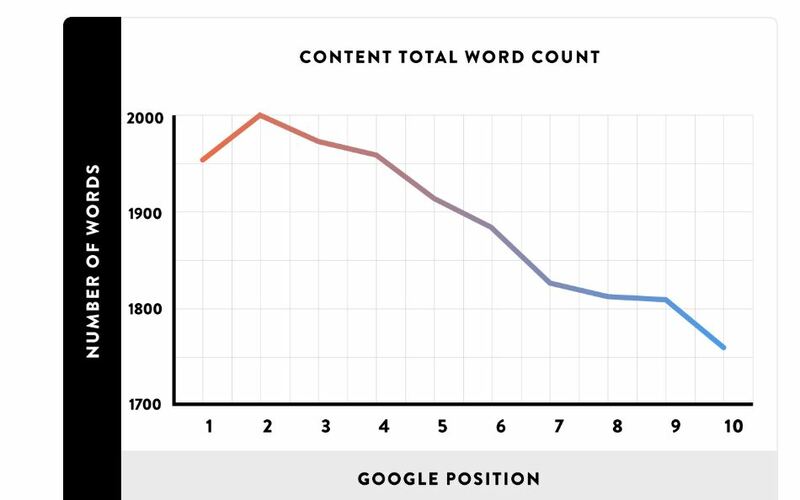 The longer the topic, the higher the position – this study revealed the fact that longer content (and relevant) can bring better results. For the first page results analyzed, the average length of the content was 1,890 words. Even more, when a page contained an image along with long and relevant content, usually this led to increased positions in rankings, comparing to pages with content but without any image. Google has confirmed this already, so it is no longer a secret to anyone. 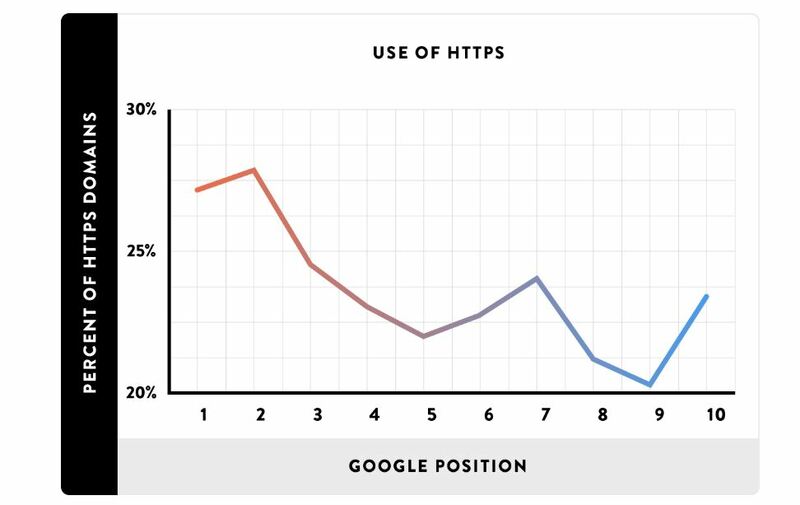 The study confirmed the fact that the use of HTTPS for a site is correlated with first page rankings. 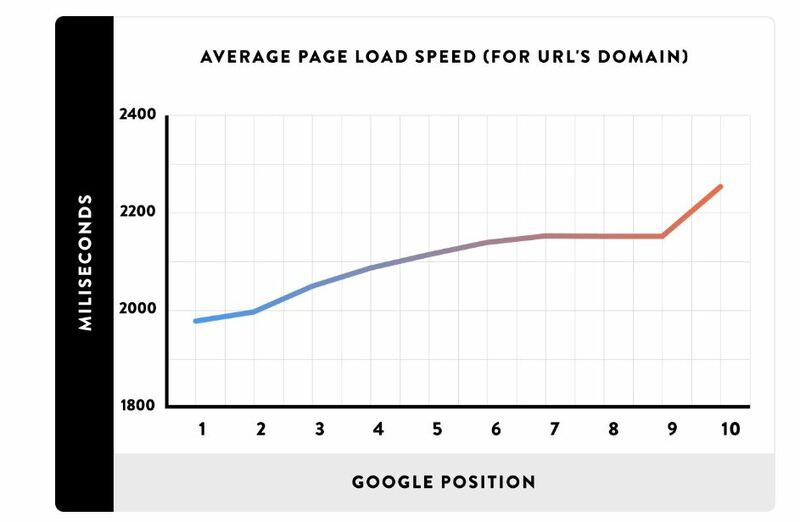 Besides being a factor that has a direct impact on the user experience, the loading speed of a website or page is an important factor in rankings as well, as fast-loading sites usually rank better than the slower ones. This may come as a surprise to many of you/us, but apparently, the bounce rate is somehow correlated with Google rankings. The study revealed that, in most cases, a lower bounce rate led to higher organic rankings. 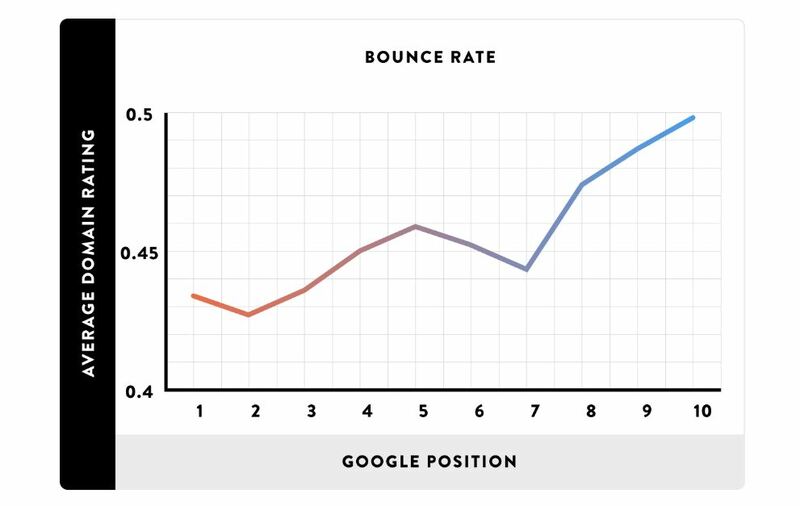 The correlation between the bounce rate of a site and its rankings may not be a direct one, though. If we assume that a user is usually engaged by quality content and so he may spend more time on a website, then it may be possible that the correlation is done to the content, which leads to lower bounce rate and higher positions. As a general conclusion to these studies, the overall recommendation is to forget about keywords, and start thinking about topics, about user’s interest. The users are searching for information in various ways, so a page should answer to all those searches with relevant information rich content, not just random keywords without any context around them. All 3 sources agree that backlinks and authority play an important role in organic rankings. That’s why it’s important to make a website that brings extra value to a subject. In this way, people will start noticing you, will mention your name and eventually, will link to your website. This is the best way of building authority for your website, trying to manipulate in one way or another your backlinks profile will most likely bring you no success. As content is among the most important ranking factors, you have to consider the creation of more and better content for your pages. Before that, though, you have to check if you have enough pages for this content, and if you don’t, you should really create them. According to the study from Backlinko, highly specific content ranks better, so you should consider creating pages for very specific topics in your area of interest. In that way, you will be able to create highly optimized (and valuable) content for a specific topic, and rank higher on that niche. After creating valuable content, it’s equally important to use it properly on your website so that it can be read by both the users and the search engines. Use Headings for your text, combine it with videos and images, and always keep in mind that in order for the content to be SEO-friendly, it must first be user-friendly. 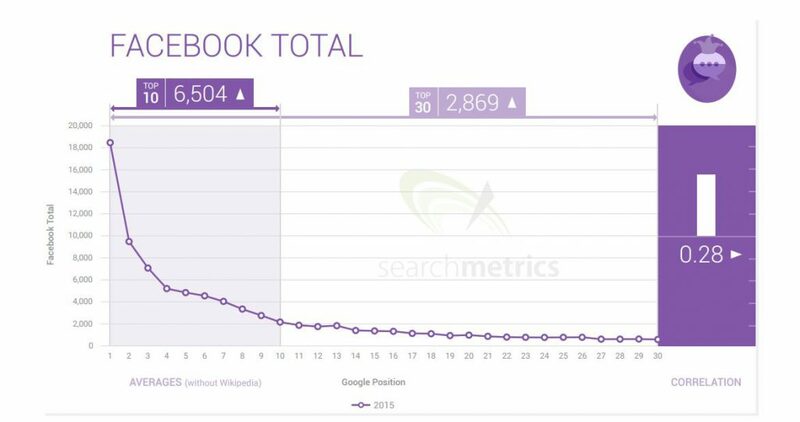 Besides content, backlinks have a strong correlation with organic performances. That doesn’t mean though that those two factors are not related. By creating high-quality content, you may start to get attention from other people in your industry, and start being mentioned and getting links. You may not have thought about this, but it may be an effective (and FREE) way of gathering backlinks. If you have friends, colleagues, relatives or you just know some people that have a website topically-related to your industry, you can approach them and ask for a link to your site. If your content is good, you may get one or two links just like that: easy and free. Even if you don’t know that person but you can tell that they may be interested in what you have to offer, you can send them a message with a link to your page. Again, if you create quality content, people may start noticing you and mention you in their site/blog without actually linking to your site. This is a natural behavior and a very good sign. In this case, you can approach and ask if they can turn your mention into a link to your website. If they already appreciate you, they might want to help you with a link also. One important thing to keep in mind is that it might take time to implement some features on your website (depending on their scale), and it also may take time to see some results. So don’t worry too much if on Monday your website is all clean and shiny and on Tuesday you’re not seeing any improvements. These improvements (in rankings, traffic, authority) will come, you just have to be patient. Ok, you have a long list of errors and other problems with your website and you have a list of the most important ranking factors. What to do next, you may ask. Well, the following step would be to correlate this two lists you’ve built so far and make a third one out of them. This third one should be a list of priorities for your website, priorities identified by associating the issues of your website with the list of the most important ranking factors. 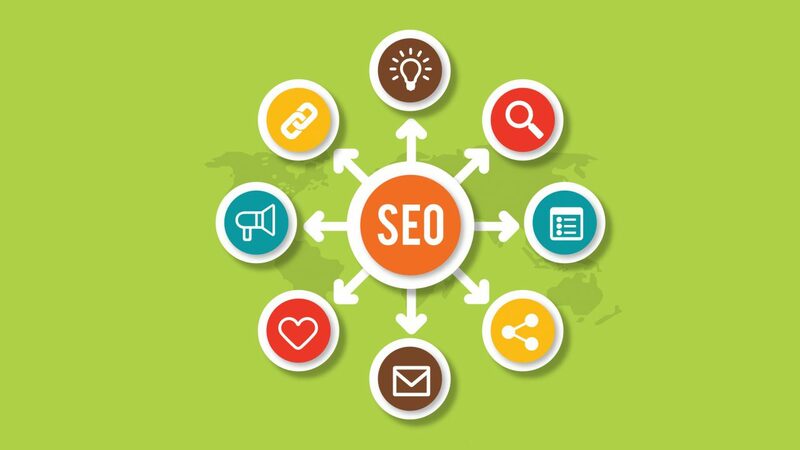 Also, there is always the option of hiring a professional SEO services agency, that will do this job for you and provide you with a detailed list of what needs to be optimized and how to do that specifically. If you need help with any of the above topics you can always Contact us for SEO services.